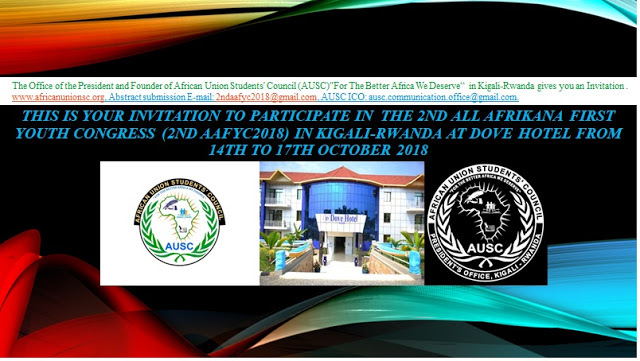 This is to share broadly the special invitation submitted to the Office of AUSC President and Founder from the organizers of this conference and AUSC wishes to extended to all Interested Young People of Africa and Worldwide who are operating within the Entrepreneurship scares . 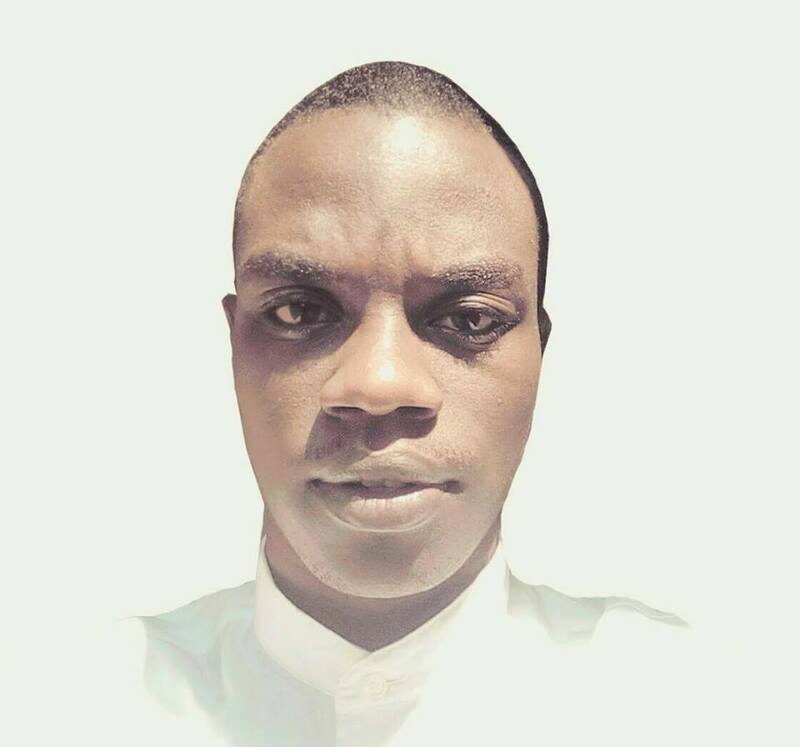 http://www.africanunionsc.org/2017/11/ausc-call-to-attend-conference-in.htmlAfrican African Union Students' Council(AUSC) President and Founder H.E IRAGUHA BANDORA Yves is now following the SEM&BANKING AFRICA FORUM for unlocking the potential of African Businesses:13th-15th November2017 Kigali-Rwanda.Kigali Convention Center.All AUSC Leaders attend For Free. More SME funding is expected to be launched at the SME & Africa Banking Forum through Entrepreneurial Solutions Partners (ESPartners) partnership with the Forum. 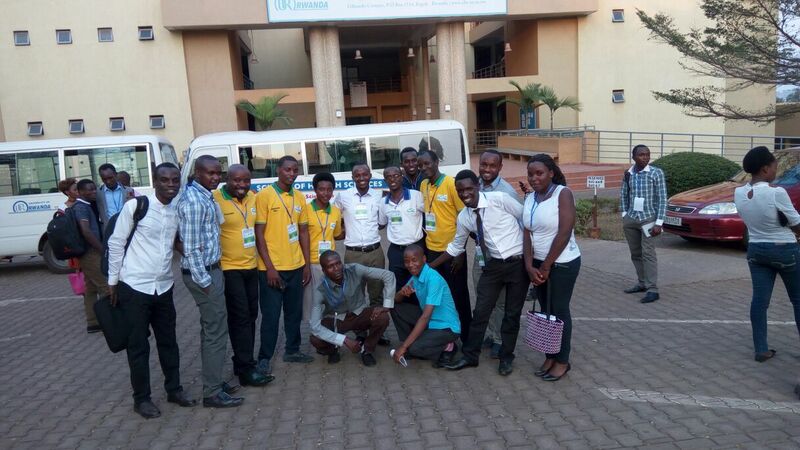 They will launch “La Finance s’Engage” Rwanda edition. 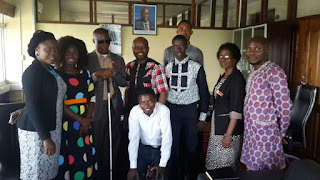 La Finance s’Engage is an ESPartnersinitiative aimed at mobilizing the private sector to find concrete and innovative solutions for SMEs financing. This follows after the Ivory Coast edition of La Finance s’Engage raised US$2 billion for entrepreneurs in that market. 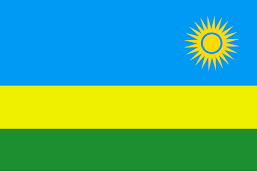 The Rwanda edition of La Finance s’Engage will be launched on the second day of the SME & Banking AfricaForum which will happen from the 13th to 15th November 2017, at Kigali Convention Center. Organized by Africsearch, the SME & Banking Africa forum will host 300 high growth SMEs, 100 financiers and 50+ experts in SME development, from around the world. The forum has become a pivotal stepping-stone for many SMEs, in Africa, seeking funding as well as increased knowledge on topics that have a direct impact on their commercial success & survival. increase their knowledge & skill in vital subjects & issues that are imperative to their success through expert led master classes. better understand of the SME markets in order to analyze the risk and the suitability of financing. The forum has become a pivotal stepping-stone for many SME's in Africa seeking funding as well as increased knowledge on topics that have a direct impact on their commercial success & survival in the forum's masterclasses. View this year's program here. Find discounts on hotels & airline tickets through the forum's website too. Copyright © *2017* *AFRICSEARCH*, All rights reserved.